LiDAR is a remote sensing technology where the environment is usually sensed with a pulsed laser beam and the reflection time of the signal from the object back to the detector is measured. LiDAR and photogrammetry are both powerful and full of potential if you use them the right way. UAV LiDAR has been a standout amongst the most anxiously expected technologies of the most recent 10 years. Drones are changing the way surveyors can capture imagery and data and the incorporation of a laser scanner can take things one step further. With lightweight and conservative options for off-the-rack drones, to robust and accurate systems for heavy-lift commercial Unmanned Aerial Vehicles, UAV LiDAR systems are now an accessible and affordable investment for most surveying businesses. 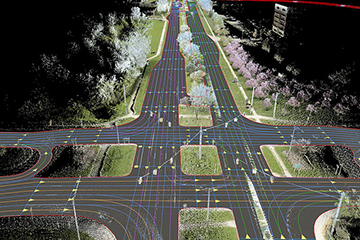 When looking at Lidar mapping system, lidar mapping in india and Aerial mapping with lidar options, we welcome you to Yolax infra group here we offer services with the priority for users is often centered on accuracy. You need to know what accuracy you really need to achieve. LiDAR gives the ability to be more accurate, but it is difficult to gather high resolution (resolutions greater than 1 meter) from LiDAR data.